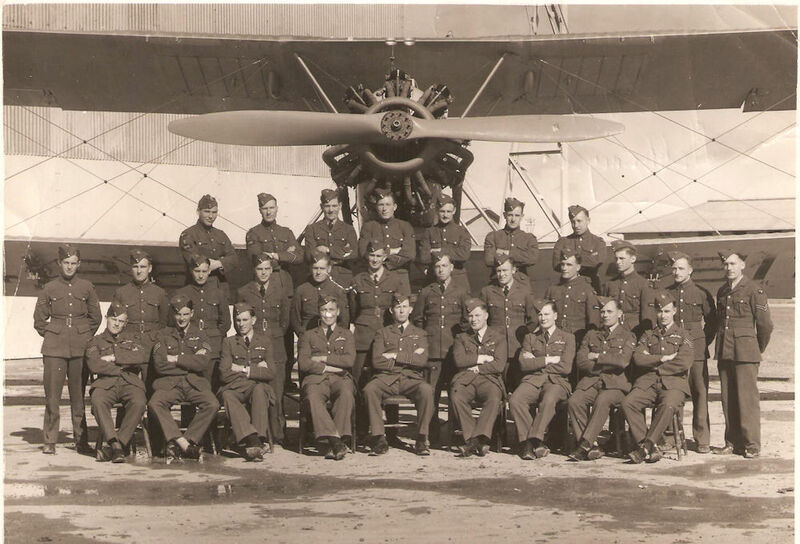 These memories of 55 Squadron by James Hugh Gascoyne were kindly supplied by his son, Philip Gascoyne. In 1935 I was accepted for trade training at RAF Cranwell (the officer training unit) in ‘Supply and Accounting.’ In 1936, my first RAF duty overseas was supposed to be for three years in Iraq then back home in September 1939, but due to the outbreak of World War II, and being a member of an RAF mobile bombing squadron, it was not until two years after that, in 1941, that I got home. 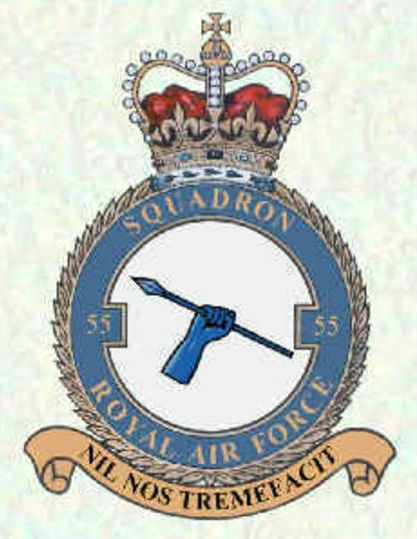 During this time the squadron –No 55 Squadron – had moved from Iraq to Egypt and Libya in the Western Desert. 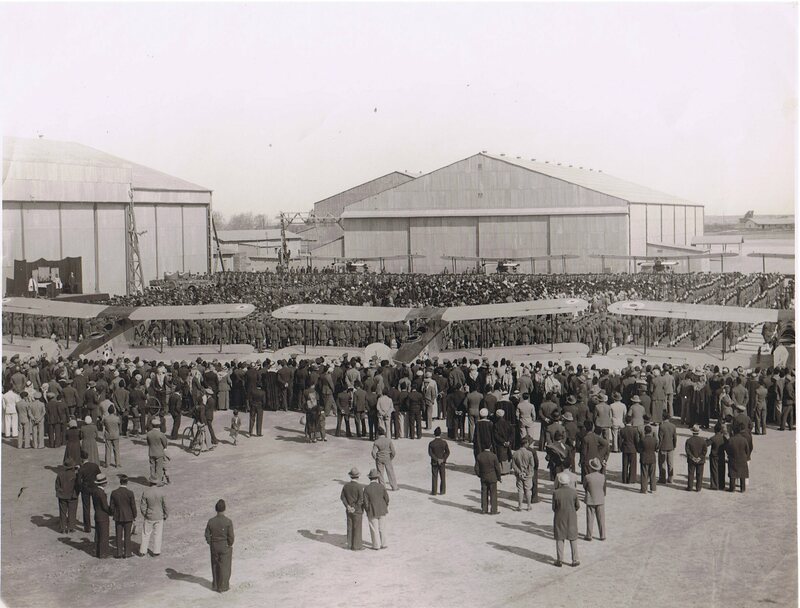 The first three years in Iraq (1936/37) were at Hinaidi near to Baghdad, then the remainder of the time at RAF Habbaniya (the tooth of the fly), a very modern new RAF Unit and Depot. 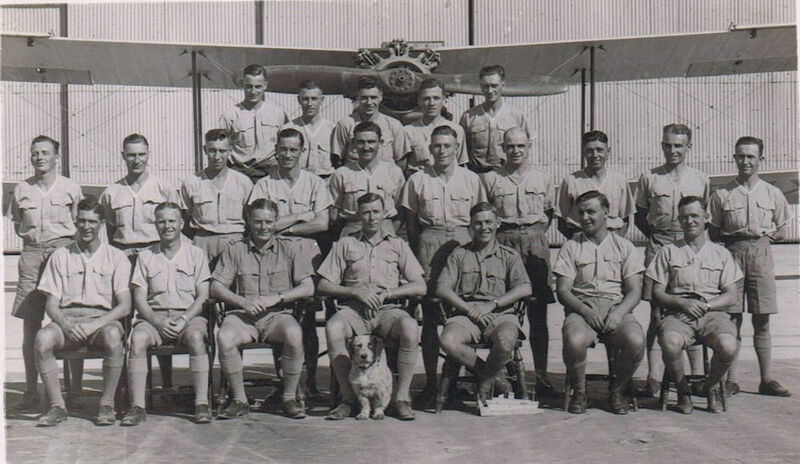 RAF 55b Squadron Hinaidi, Iraq, 1936, with Blotto. Leslie Rogers is fifth from the left, middle row. 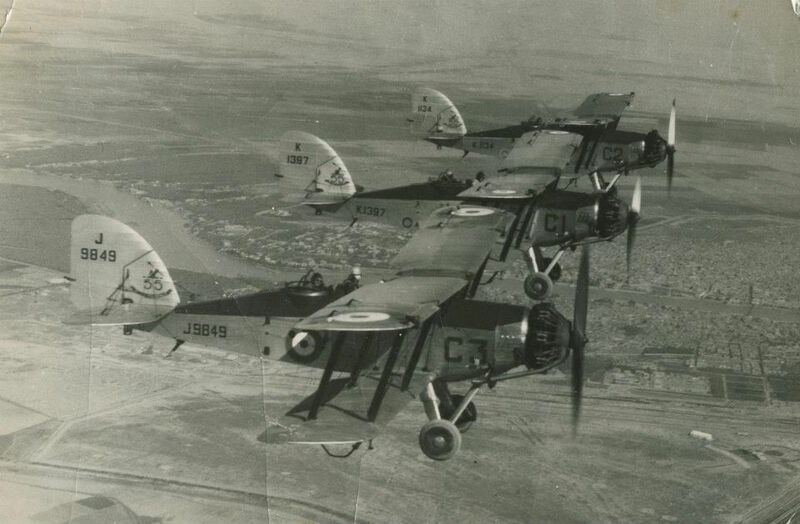 So September 1939 -‘Farewell Iraq.’ By then the Squadron had re-equipped with the Blenheim – a more modern aircraft compared with the previous open cockpit bi-planes, the Wapitis and Wildebeasts (very ancient now, but the first aircraft I ever flew in over the Iraq desert areas). 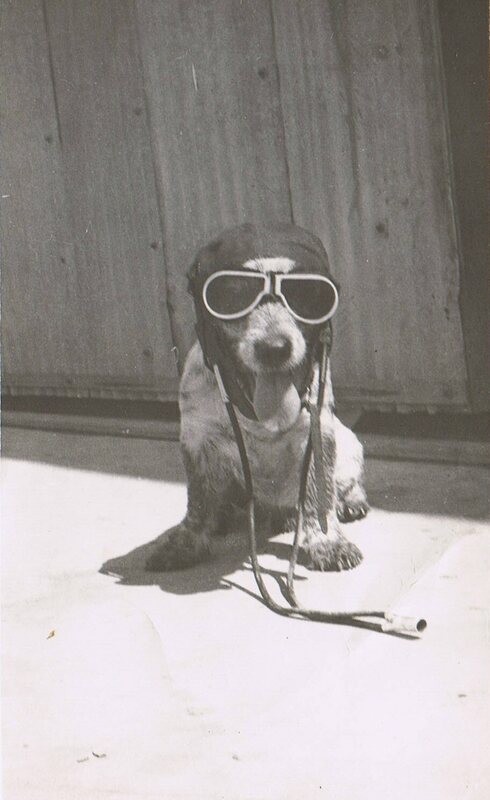 Goggles and flying helmets were necessary because of the strong slipstream which, if your mouth was open, would force your cheeks out! 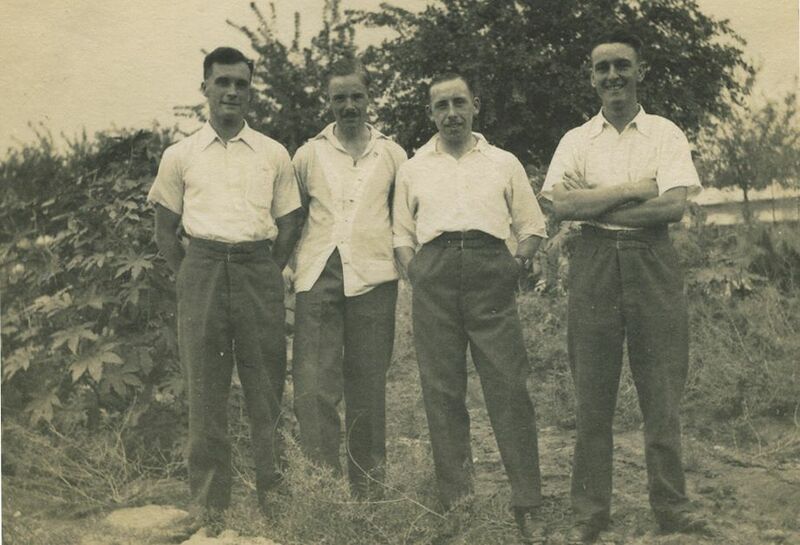 The Blenheim aircraft flew from Iraq to Egypt with three aircrew to each aircraft – pilot, navigator and gunner. Sadly, most of these aircraft were either shot down or crashed during the desert warfare. The ground crew, of which I was one, all left Iraq in a long convoy of vehicles. Farewell Iraq and the memories of three years! We wondered when or if ever, we would return to England. Sadly many did not and were buried in British war graves overseas – so I was extremely fortunate. The journey to Egypt across the Syrian Desert took almost a week due to severe sand storms. Tired and dusty B.O.R.s press on their weary way, leaving behind their McConney tins, for the Bedouins to carry away. During the desert journey we slept on ground sheets (for fear of scorpions). One night we stopped in Southern Iraq at Beersheba mentioned in the Bible at the time when Iraq was called Mesopotamia. Before passing through Palestine (Israel today), we stopped at RAF Amman (Trans Jordan) for a refreshing two days, with showers and laundry and better meals. 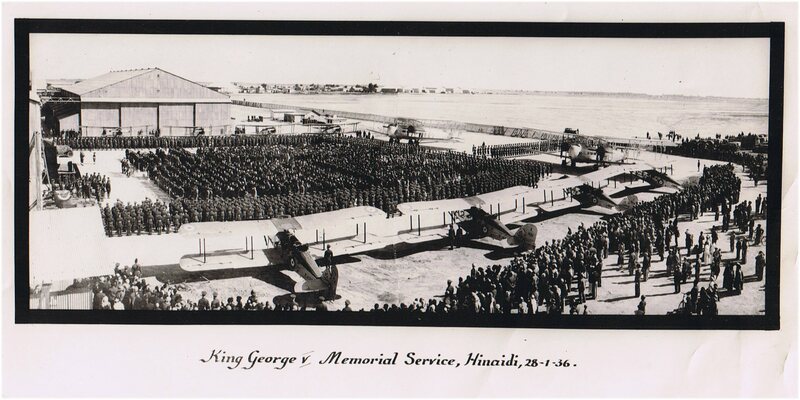 Eventually we arrived in Egypt, at an RAF Station called Ismailia, not far from the Suez Canal. Only a few days afterwards it was announced on the radio that Britain had declared war against Hitler’s Germany. For a few months, we were not involved, so memories of that time in North Africa are happy ones. During that time there were enjoyable visits to Cairo and Alexandria, and my involvement with S.A.S.R.A. (Soldiers and Airmen’s Scripture Readers Association). And so in 1940 the British military engaged in in desert warfare, first against the Italians and then the Germans, led by Rommel. The Italians were soon to surrender to British and Coalition forces, but the German forces certainly did not. Farewell the comforts of Egypt, – Cairo, the Pyramids and seaside holidays in Alexandria! No 55 Squadron moved on into the desert in another convoy of vehicles, with the Blenheims following on. The first stop was at a place called Fuka, where we lived in camouflaged tents. Sadly many of the aircrew were killed in the warfare. The Italian aircraft dropped bombs on an Arab village near Fuka as well as on us. So we dug our tents below ground level for safety. Sadly, the aircraft in which Charlie Bartram was navigator (a close friend), crashed on take- off. The bombs exploded and the petrol ignited, so the three aircrew were severely burnt and died. They were buried the same afternoon in temporary identification graves. There were no coffins; they were just wrapped up in blanket material. I and other friends attended the burial with the chaplain. In the midst of death, the humdrum of life goes on. Something comes to mind that before advancing into Libya from Fuka, the occupants from one of the Arab villages nearby had disappeared, leaving dead camels, donkeys, etc in their haste, there were live hens amongst the remains. So with my farm background, I caught a few hens and brought them to our tented area nearby. I made a hen hut from wooden boxes and fed the hens with leftovers from the tented meal area. The hens immediately settled down began to lay eggs, which we enjoyed for breakfast. Then came the advance further into Libya in a lorry convoy. I made a crate for the hens to travel in. We stopped at a place near Tobruk, called Bardia. The journey upset the hens’ egg-laying routine, but they soon began again. 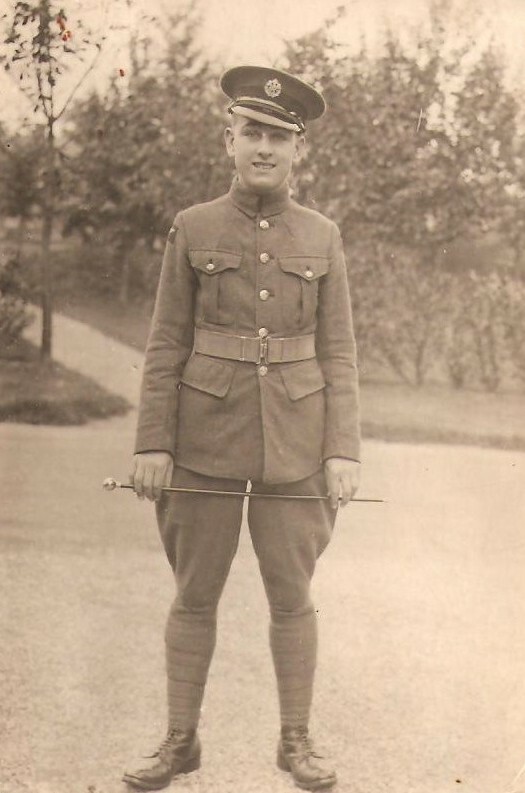 Then to my surprise the RAF Records Office discovered that a number of us were two years overdue for our return to England, so one day, at very short notice, we were transported by vehicles back to a transit location in peaceful Egypt to await our journey back to England in a troopship called “The Monarch of Burmuda”. It was a very long journey, via South Africa, because the Suez Canal was closed, but it was far more comfortable than the previous troopship five years earlier. South Africa! Out of the war zone and into the pleasurable comforts of Cape Town and Durban. I think almost everyone was invited into someone’s home – even romance flourished, and later led to marriage. A friend of mine, Robin Marshall, married a South African girl and returned to South Africa after the war, as a church minister. On retirement he and his wife came to live in Scotland and visited Mary and myself in our home. Sadly, like my Mary, they have both died, but I treasure the wonderful memories. The troopship from South Africa was unescorted because its speed was thought to be sufficient to avoid German enemy torpedoes. We had regular lifeboat practice in case we were attacked. The long journey, with a stop at Freetown on the coast of West Africa, continued some distance north to avoid enemy torpedoes. At last we arrived at war-time blacked-out, and bombed-out Liverpool. 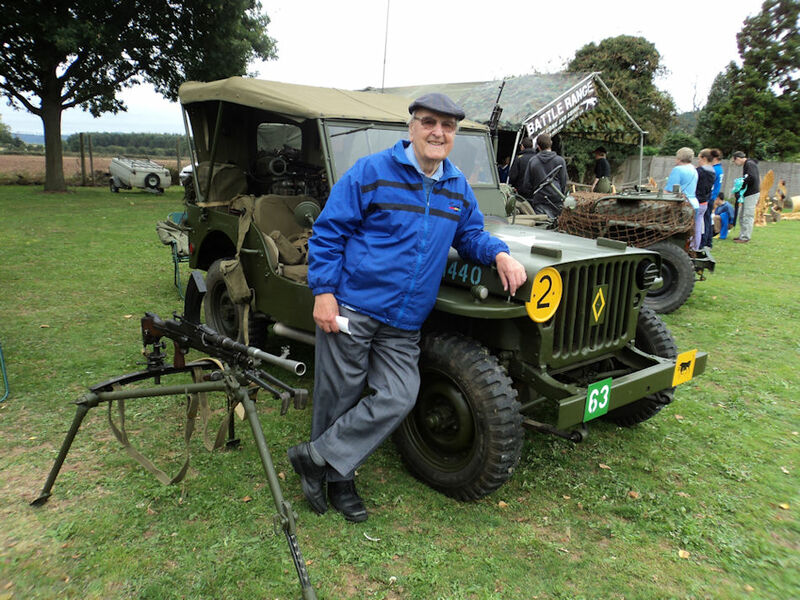 I remained in the RAF until my retirement (Germany, RAF Hemswell, and finally RAF Hereford as a civilian supply instructor). At the age of 98 I enjoy walking and my daughter Lynda and family support me in my old age, as my short term memory isn’t too good. RAF fitters taking a break. 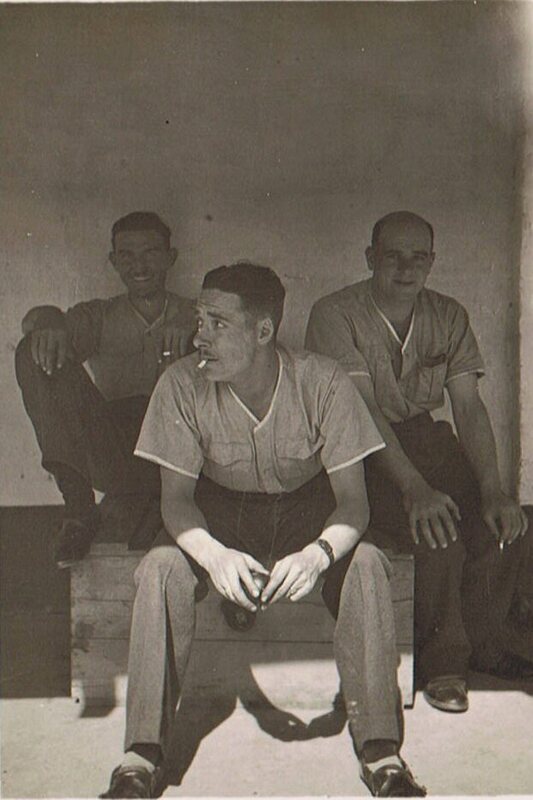 Probably in Hinaidi, Iraq, c1935. Leslie Rogers is on the left.